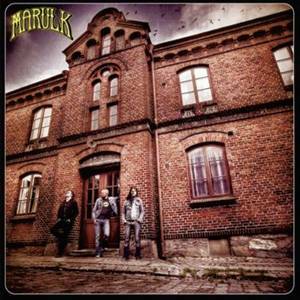 Marulk is a pretty new Swedish hard rock band. They had previously released an EP called All the Kings Men before signing with the southern Sweden based Transubstans label. They play 70's influenced rock with a more melodic and less jamming edge. Daylight and Rain starts things off and is a good taster for what is to follow. The next song is more uptempo and sung in Swedish with pretty straight up rock and roll guitar. Hey Sister is probably the bands radio hit, if there is going to be one from the record. The chorus is also inspired by QOSTA. The Alarm changes things a bit but is also quite a melodic track with a lot of different parts including some congas at the end and a nice guitar solo. One of the best songs on the CD. Is This Home is an acoustic track with hand drums to start. Nosferatools is a real AC/DC like riff and sound. It also reminds me a lot of WE. I See You In My Dreams has a really cool groove and you can really get sucked into this one! The solo section is quite cool and spacey and totally different from anything else on the CD before the track returns to the regular groove right at the end. Slumber Waltz has the heaviest riff of any on the record and reminds me of Orange Goblin. Not sure why though. The CD ends with Potemkin, a pretty cool rock and roll number and a great one to end the album with. This music is also out on vinyl, if you want a more analog sound.